Just a few days ago I had the chance to give a webcast with O'Reilly. This webcast is now available on demand and you can watch it for free after registration. With the ascent of DevOps, microservices, containers, and cloud-based development platforms, the gap between state-of-the-art solutions and the technology that enterprises typically support has greatly increased. But some enterprises are now looking to bridge that gap by building microservices-based architectures on top of Java EE. In this webcast, Red Hat Developer Advocate Markus Eisele explores the possibilities for enterprises that want to move ahead with this architecture. However, the issue is complex: Java EE wasn't built with the distributed application approach in mind, but rather as one monolithic server runtime or cluster hosting many different applications. 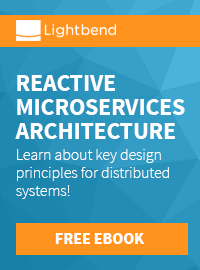 If you're part of an enterprise development team investigating the use of microservices with Java EE, this webcast will guide you to answers for getting started. Building Scalable Architecture for Sustainable Enterprise Development.